Have a knack for the creative? 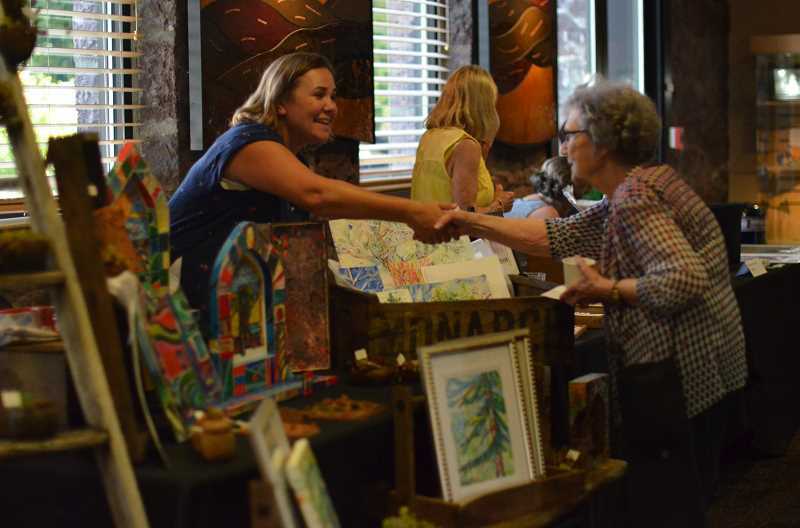 Washington County is full of opportunities to connect with the art scene. Glenn & Viola Walters Cultural Arts Center is housing "P.A.N. Portfolio," a collection exhibiting 42 artists from Print Arts Northwest, a nonprofit based in Portland advocating for contemporary printmaking. 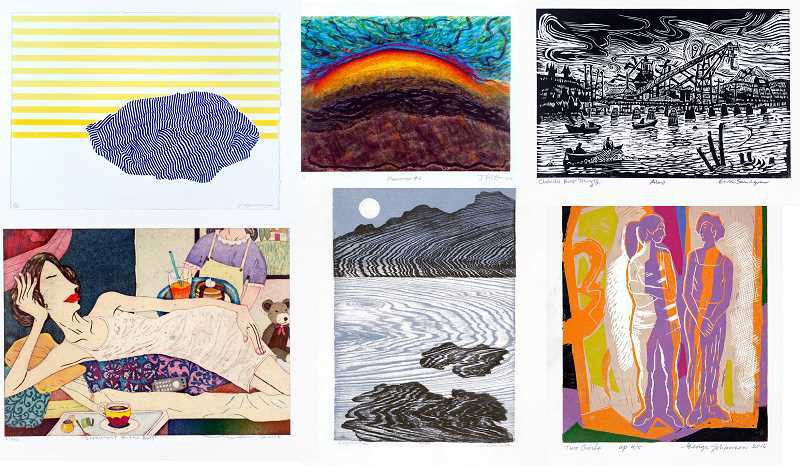 On display until Jan. 25 and free to the public, the prints show a variety of color, forms, lines and shapes. P.A.N. board member and artist Jules Altfas said, "People will be looking back on it in 100 years or more, and I think that is an interesting perspective from an artist's point of view." The exhibit can be seen when The Walters is open, from Monday through Thursday from 9 a.m. to 9 p.m. and Friday from 9 a.m. to 5 p.m, and is accessible by the MAX Blue Line. With the New Year, A Framer's Touch will have a new featured artist. From Jan. 2 to Feb. 20, the studio and gallery is hosting a solo show for local artist Emily Barnes. The shop invites the community for Barnes' opening reception on Jan. 9 from 5 to 8 p.m. Drinks and light refreshments will be served. Barnes' freelance business, Illustrations by Em, is directly influenced by experiences as a 20-something trying to keep the luster for life alive by finding humor and beauty often overlooked. "The heart behind every comic and design is to put a smile on your face through silliness, relatable content, and imagination. The way I see it, life's too short to not break away the mundane in any way you can," she said. When she's not drawing, you can find this self-taught artist brewing drinks at Insomnia Café and publishing on Instagram. Sequoia Gallery + All-Member Show is still in full swing until Jan. 31. 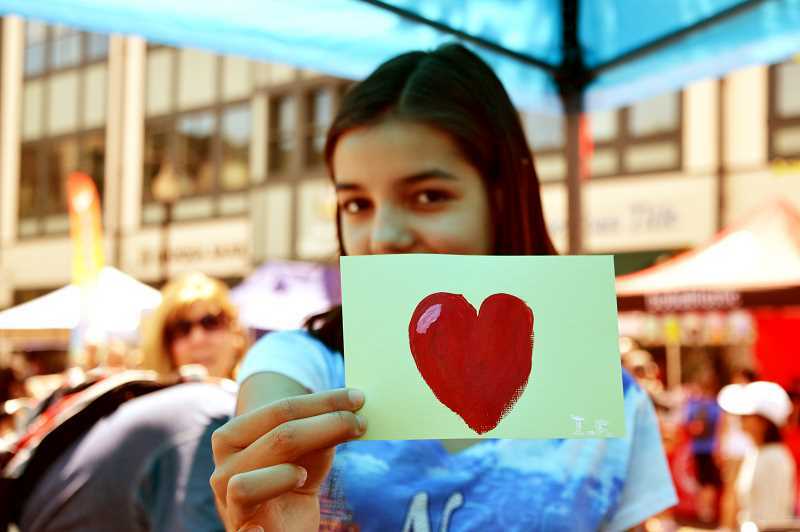 Sequoia features art work by its 33-member artists, including small, handmade, gift-worthy art objects. Sequoia's annual ornament tree on display with handmade glass, ceramic and hand-painted ornaments. Free to the public. For January's First Tuesday Artwalk, Alison Newey will be the featured artist at Weicherts RE, 231 E. Main St. with an opening reception on Jan. 8 from 6 p.m. to 8 p.m. The date (usually First Tuesday) was changed because First Tuesday fell on New Year's Day this year. Musical entertainment for the reception will be a youth four-piece band called Minor Silence. Newey is drawn to emotions and how they can influence the condition of the physical body. Her artwork is a continuous exploration through expression of seasoned human faces, particularly in and around the eyes. Besides doing her own artwork, Newey teaches group classes in the Beaverton Michael's as well as one-on-one classes in her home. Musical entertainment for the reception features four talented teenagers in a band called Minor Silence. The reception will include snacks, sodas and wine. The gallery will host an artists' reception on Hillsboro's February First Tuesday Artwalk on Feb. 2, from 5 to 8 p.m. The gallery will be featuring artwork by its artists-in-residence: Catherine Bede, Nyell LeFore, Barbara Martin, Polly Shaw, Elizabeth Higgins, Amy Osborne, Lyric Joplin, Carole Zenny and Lori Hicke. Normal Fauna featuring Andee Joyce will provide musical entertainment. Utilizing a colorful arsenal of hand percussion instruments and a loop pedal, she creates infectious polyrhythms, over which she plays her Little Martin, uke bass, mini electric guitar, or hand drum. Joyce performs all over the Portland area, especially in her hometown of Hillsboro. She was selected as a finalist for the 2018 Oregon Coast Songwriting Contest.